Find Organic Foods in Malta at Dical House. If you care about the environment and your own wellbeing, you must be careful about what you eat. Today more and more people are becoming aware of the global ecological problems triggered by polluting means of production and consumption patterns. The solution to be responsible in your consumption is to select foods that are the most naturally produced: organic foods. The production process itself must respect the ecological balance. It means taking into account the respect of the ecosystem and the renewal of natural resources. This allows the consumer to reduce the quantity of chemical additives he eats. Nowadays such substances are used by most of the companies in the food industry. So eating organic foods also means to consume differently. It is not just a matter of ethic, but also of health benefits that you will feel. If you seriously think about the expression “we are what eat”, no doubt that most of us will feel guilty. But don’t worry, there is a simple way to make sure that your body becomes your friend: favour organic foods. Are you looking for natural food in order to start an organic diet or just simply to eat healthy? With its wide selection of organic foods Dical House is the place you need. Dical House brings you a large range of healthy food. Our best brand is Rinatura. 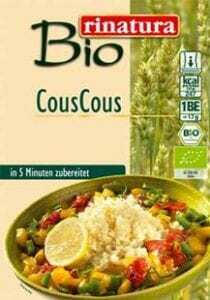 The commitment of this brand is to allow you to have delicious meals composed with ingredients which are produced with respect of the environment. Bio-food is the best way to make sure your body only gets what it needs from the most natural products. And if you still think that eating healthy is boring and tasteless, there is no doubt that our healthy snacks will make you change your mind. 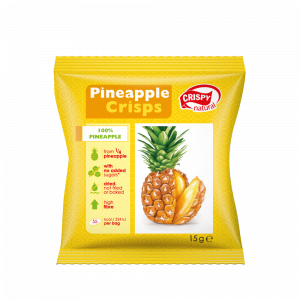 For example you can taste our natural vegetables and fruits crisps from Crispy Natural. The best way to eat healthy and to discover tasty natural flavours such as: apple, strawberry, banana, pineapple, carrots, tomato and more. Dical House brings you exclusively the best organic foods from all around the world to satisfy your needs. All the products that we import are certified by labels and control tests to be 100% naturally produced. This guarantees the ethic of the producers and the quality of the products served to the consumer. Eating healthy and organic does not mean that you must restrict yourself. We have plenty of ideas to help you in your organic diet. We offer you numerous products to really enjoy your meal. What about a veggie bolognese, or an organic peanut butter, or maybe a sandwich cream? 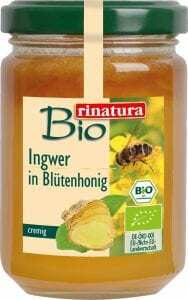 Very often our organic products are also adapted for sugar-free or gluten-free diets. We have a dedicated section for all your needs because your wellbeing and your health are at the core of our attention. Feel free to visit us at our store: Dical House in Saint Anthony Street, Mosta. To subscribe to our newsletter simply add your email below.